After being on this forum for almost a year, some of my friends on the forum suggested I should start a build thread/log book for my Leyland Mini 1275E. The suggestion was to log any changes and repairs that I would make the car as I go along. Firstly I might have a degree in mechanical engineering, but I have zero actual experience with mechanics and tools, so I bought an old car with the intention to fix as much as I could myself with the advice of friends and forums. 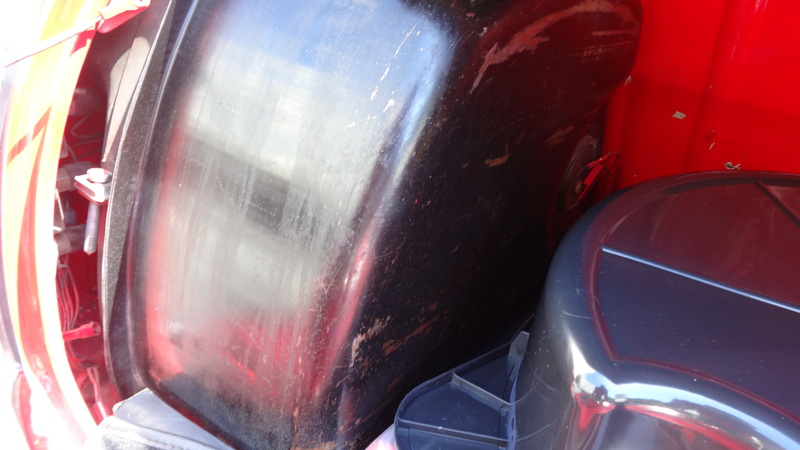 When the car came out of the factory it was red with two black stripes down the side. 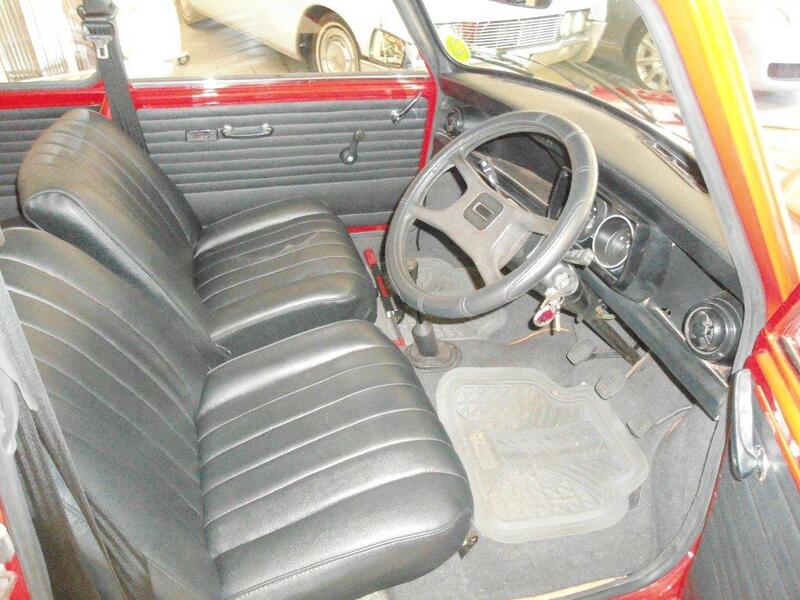 Additionally it had 10" steel wheels and a typical '80s brown cloth interior. 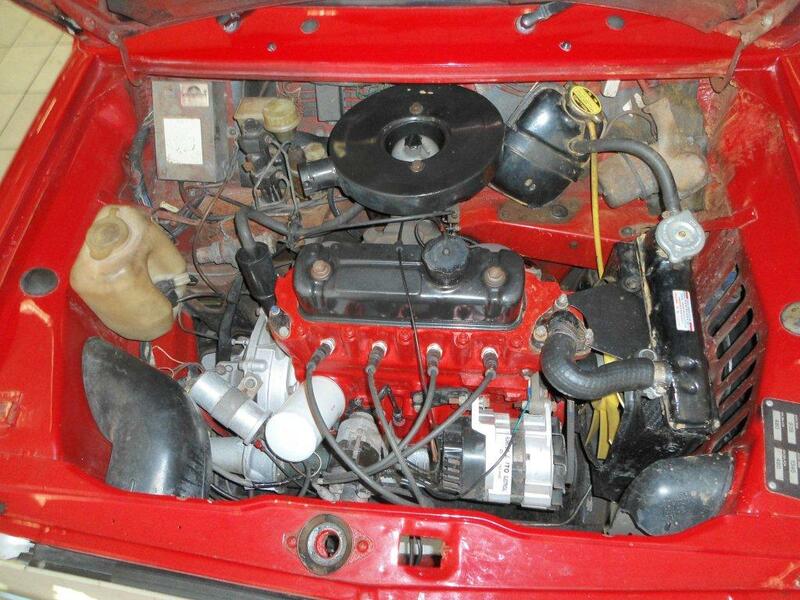 The car came with a 1275cc engine and a single HS4 SU carb (both of which are still on the car). Additionally it came with a fresh air heater and a radio. The car was owned by the same person from new until I bought it in January 2014. During that time it spent most of its life up in Johannesburg, where it is dry so the car is mostly rust free. The previous owner used it as his daily car to take his kids to and from school. In 2012, it underwent a rebuild. The documentation suggests that a full engine rebuild was done. 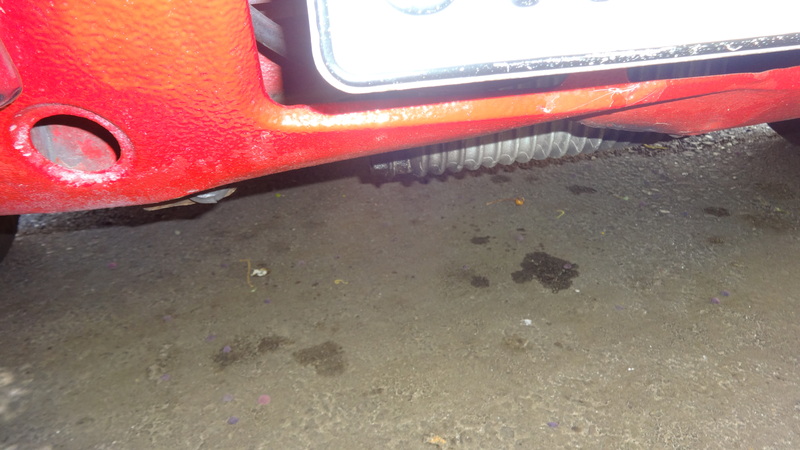 Additionally the suspension was replaced. 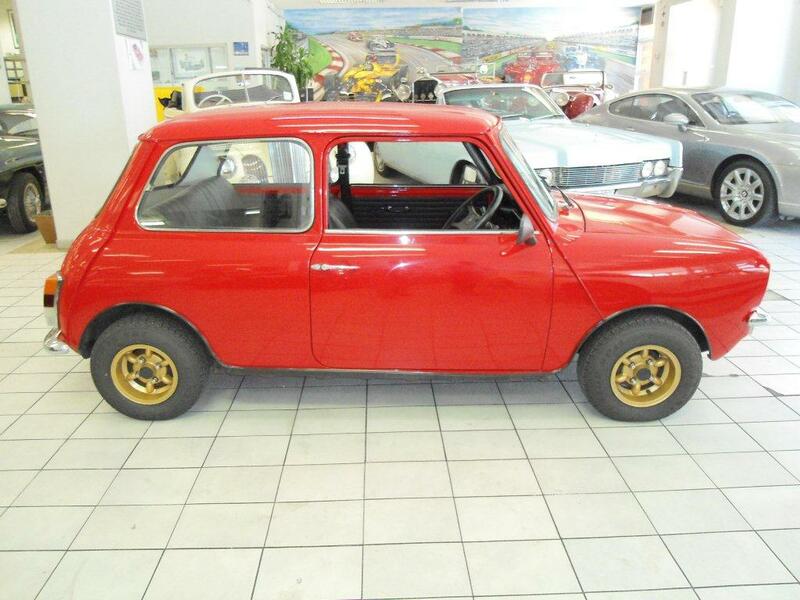 The car also got a full respray (not very good IMO) in the original red factory spec colour and the steel wheels were replaced with 10" PEG Mistral wheels that were painted gold. Additionally the two black stripes down the side were not reinstated and rather gold pinstriping was used. 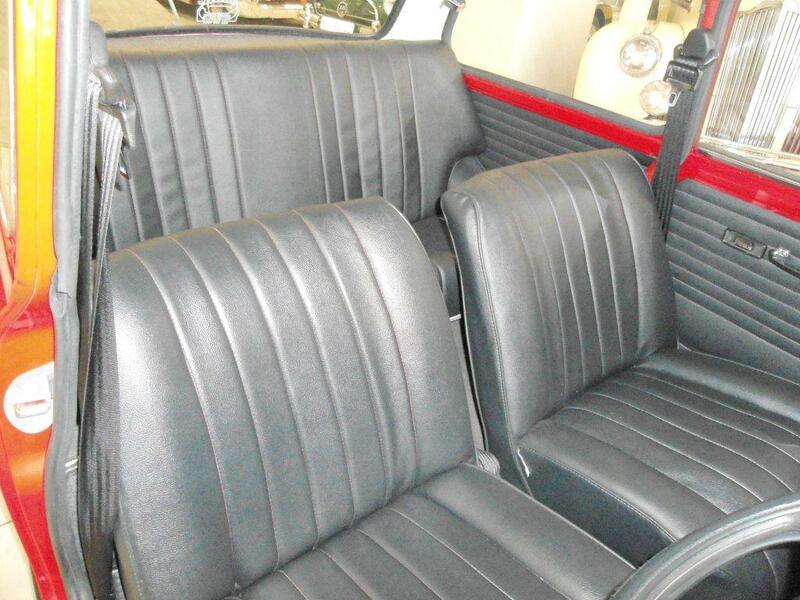 The interior was reupholstered with black vinyl. 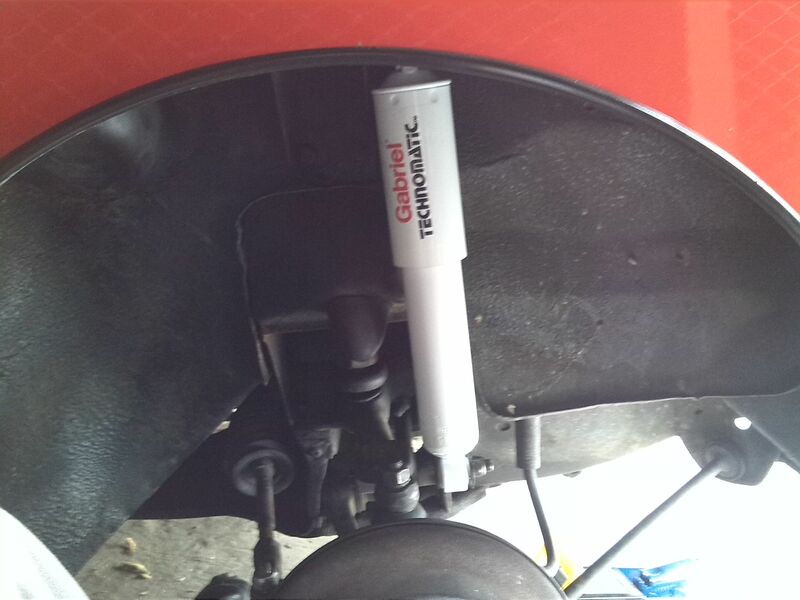 At this time it also had electronic ignition fitted and a banana branch exhaust system installed. It still has its original engine and when I bought it, it had ~154000 km on the clock. 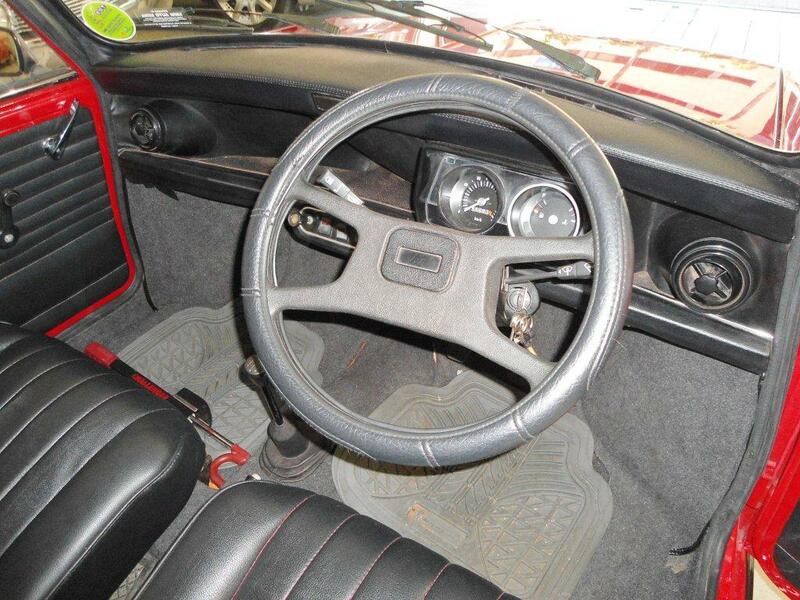 You'll notice that there is no Leyland square steering wheel badge and this is something I have been looking for since I bought the car, but haven't had any luck in my search. 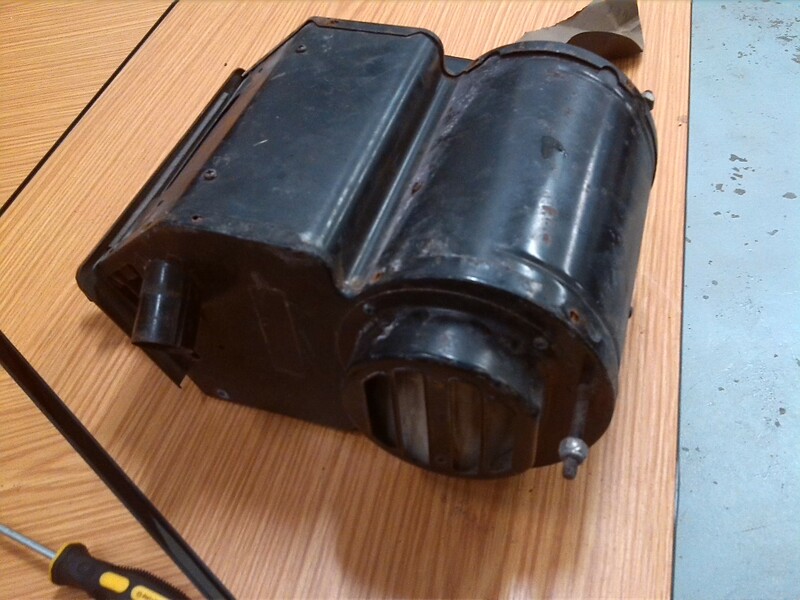 Apparently the heater and radio broke at some point and were binned by the previous owner. These are additional things that need to be fixed back at some point in the future. 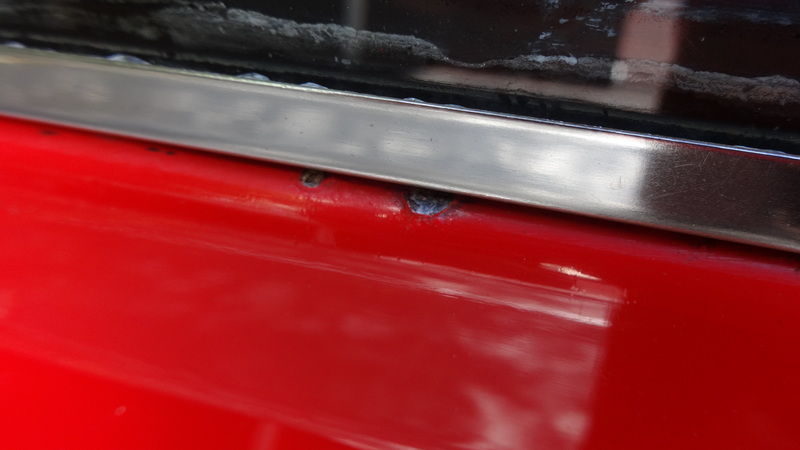 The only problems were the washer bottle, which had faded and browned, the rusty wiper motor and the weird box fitted on the left side on the firewall. After a while of looking at it, I discovered that it was connected to nothing and there were random wires just running alongside the loom. 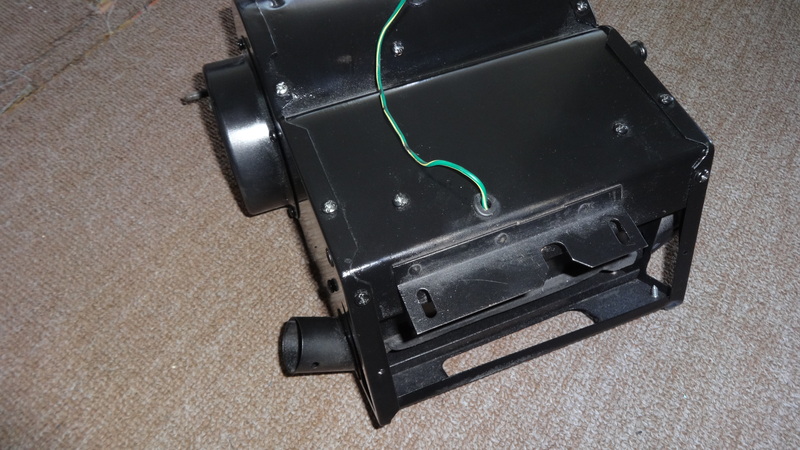 When speaking to the previous owner I found out it was an old alarm system that had been fitted in the early '80s that he had decided not to remove, so I grabbed a screwdriver and removed it. Edited by Vinay-RS, 14 July 2017 - 03:28 PM. 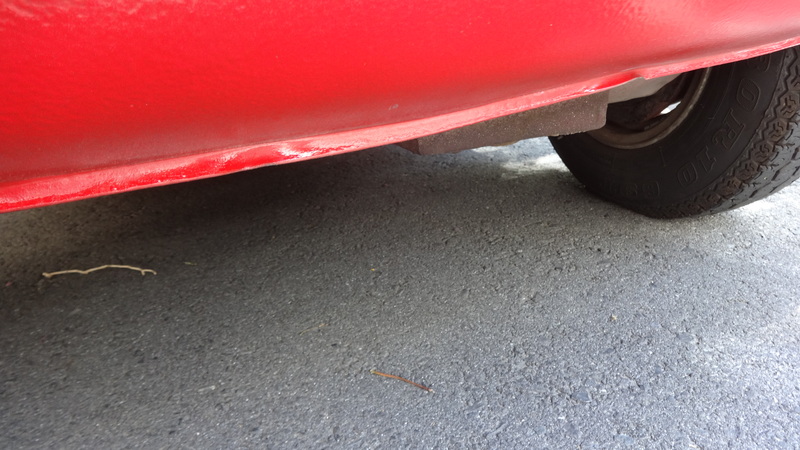 I discovered that the car had been in a side impact at some stage before I bought it as the wheels on one side where scuffed. I took the car to get those two wheels refurbished and get the alloys checked for micro cracks and damage. They were all in good condition overall. 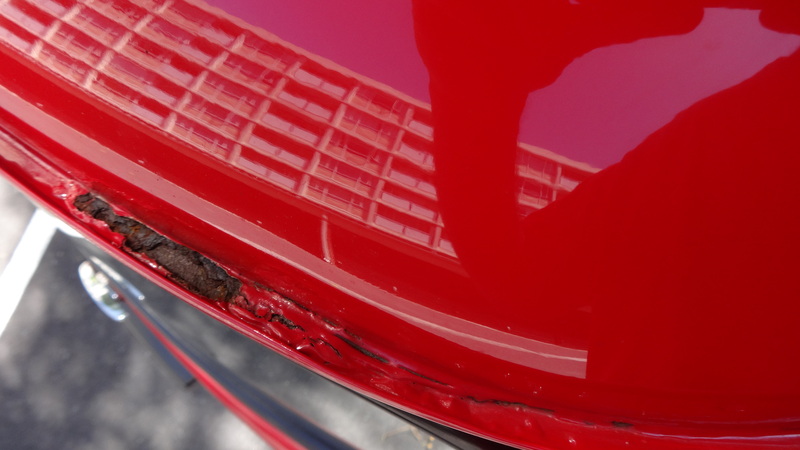 Although in the short time I had owned the car I had managed to reverse into a drain pipe and dent the rear bumper , although it was already dented and needed replacing anyway. The number plate light holder was badly pitted and scratched so I decided to replace it as well. I will fix up the old one and keep it in storage. The biggest problem I had when I was first driving the car was a strong smell of fuel when idling. As I knew very little about the car and I was too afraid to tackle a job and not have a working car, I decided to ask a friend. We removed the carburettor and found out the needle was stuck. I also found out I had no choke and the old cable had frayed at the end so wouldn't work anymore. Luckily my friend had the correct one that he had gotten off another car. So we fitted it. So I started to look around for people who could supply all the parts for a carb rebuild. I found that none of the local carb rebuild specialists supplied full rebuild kits and the prices were significantly higher than the prices from the UK. 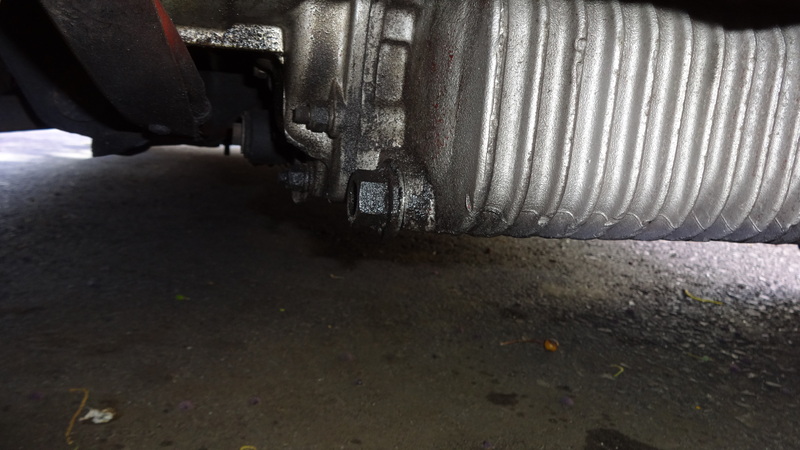 I later found out that there was more wrong with that side of the car than I first assumed, with the left outer CV joint being damaged, as well as the left tie rod end and the left ball joints. So at this point I was rather afraid to drive the car incase it just fell to pieces. So at this point I decided it would be worth placing an order with minispares for new ball joints, new CV joints, a heater cable and new door mirrors. When the parts arrived I asked my friend to help me fit the CV joint and we found that I had ordered CV joints for a disc brake mini... yay Luckily one of the local mini guys had a CV they had pulled off a car when they had done a disc brake conversion. Edited by Vinay-RS, 14 July 2017 - 03:29 PM. I was also very fortunate to get to go on a few fun runs and meets with the Cape Town Mini Owners Club. 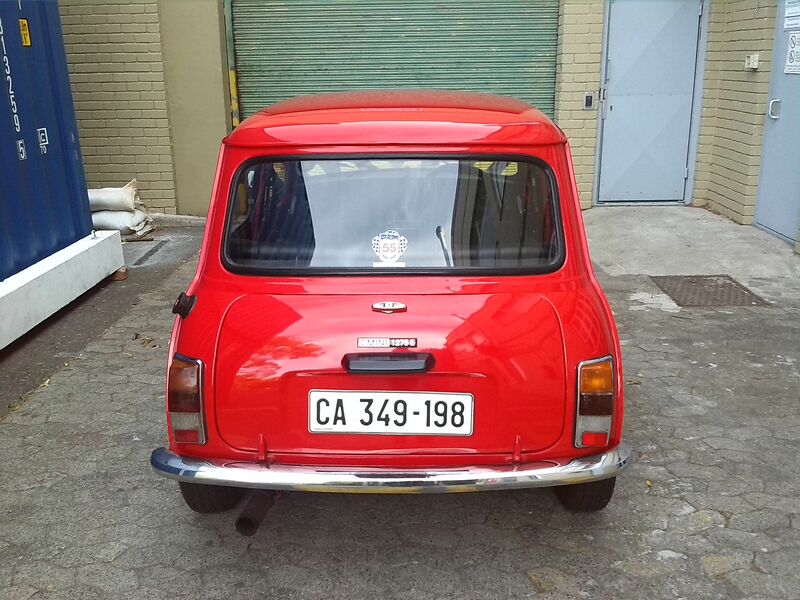 The first time I was able to meet everyone was on a run to the Franschoek Motor Museum. Edited by Vinay-RS, 14 July 2017 - 03:30 PM. These runs happen monthly and the second run that I was able to be a part of, was a lovely coastal drive along beautiful mountain roads. We also went on a run to mark the 55th birthday of the mini. We decided to invite a MINI owners club as well. Edited by Vinay-RS, 14 July 2017 - 03:32 PM. I was fortunate enough that one of my friends came to my aid again and helped me fix the brakes. At the same time he noticed a lot of play in the front wheels and discovered that the left front wheel bearing had been replaced with a cheap low grade unit. It seemed a lot of problems were present on the left side, further confirming that the car had been in a side impact on that side. So we replaced both front wheel bearings with Timken needle roller bearings. When I had placed the minispares order, I had also bought an SU carb rebuild kit, so we rebuilt the carb and gave the engine a quick tune to lower the high idling speed. Edited by Vinay-RS, 14 July 2017 - 03:34 PM. Here are some pictures from our most recent run at the end of last year. It was probably the best run I had been on, as the little car actually felt nice to drive. No more squealing brakes. noisy CV joints or unsteady ride. It was a little uncomfortable at speeds above 90 km/h, which I discovered was due to a lack of wheel balancing. Something to be sorted out at the start of the year. Edited by Vinay-RS, 14 July 2017 - 03:35 PM. Thanks man, yeah it is the only way to learn right. Good on you for starting a thread :) great to see more of this car. I recognise a few of the others as well. Just keep at it, you'll learn a lot!! Thanks Jared. There are some very nice cars in the club. Some very original and others tastefully modified. I really like your "E". 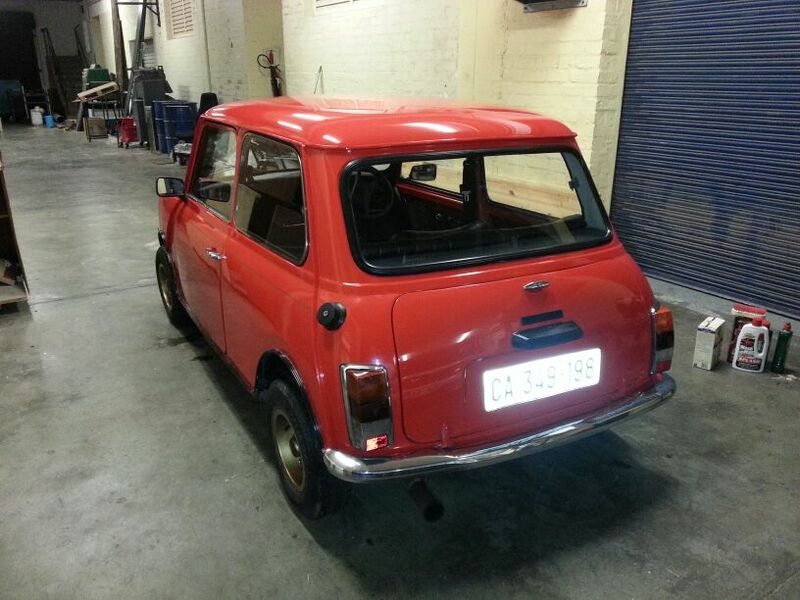 I've not seen one before (I'm not well versed on SA Minis) but it just looks like a very pleasant little motor. Good to see you've started to do your own maintenace - it's the best way to learn and you will no doubt enjoy getting your hands dirty!! 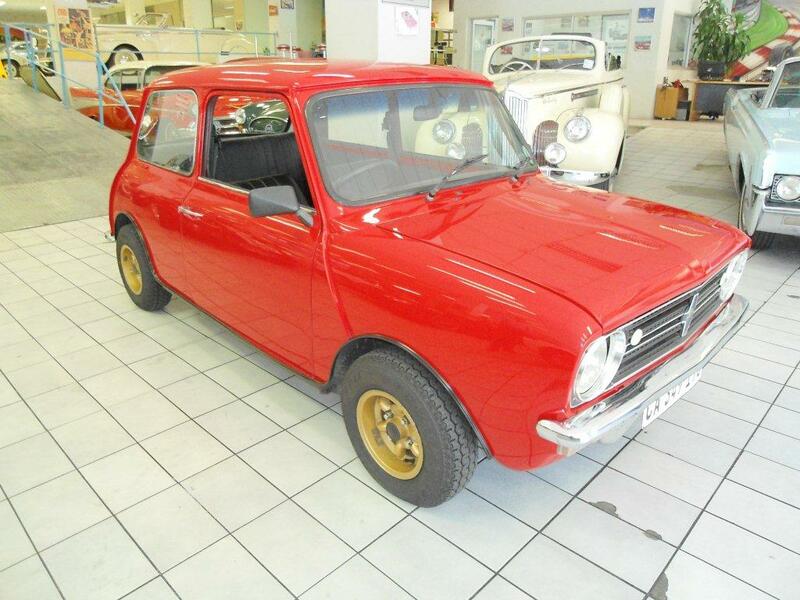 Yeah they are based on the clubman apart from having a 1275cc motor. Guess they are a little like a cross between a gt and a regular clubman. 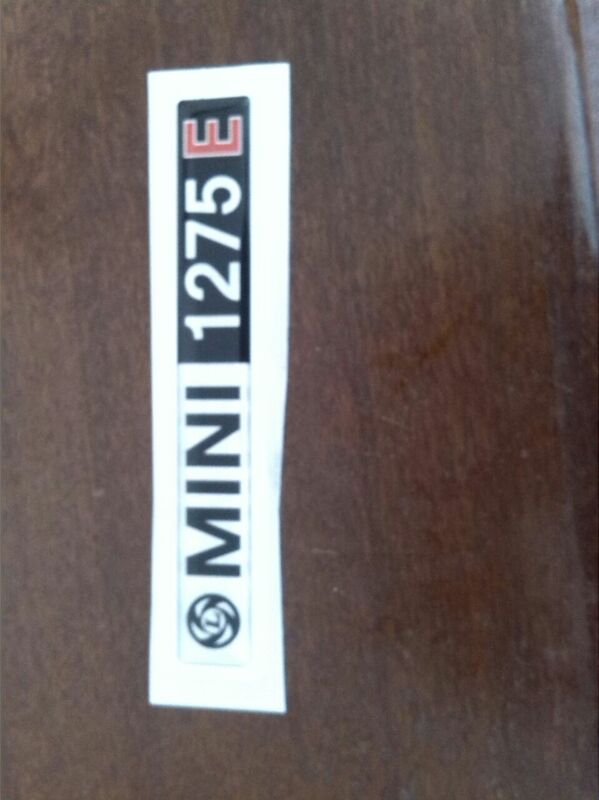 A close to perfect example of a 1275E is the yellow one with the black stripes down the sides. The owner gave it a full rebuild after buying a scrapped car. Thanks, yeah I really want to learn as much as possible even if that means asking loads of dumb questions. 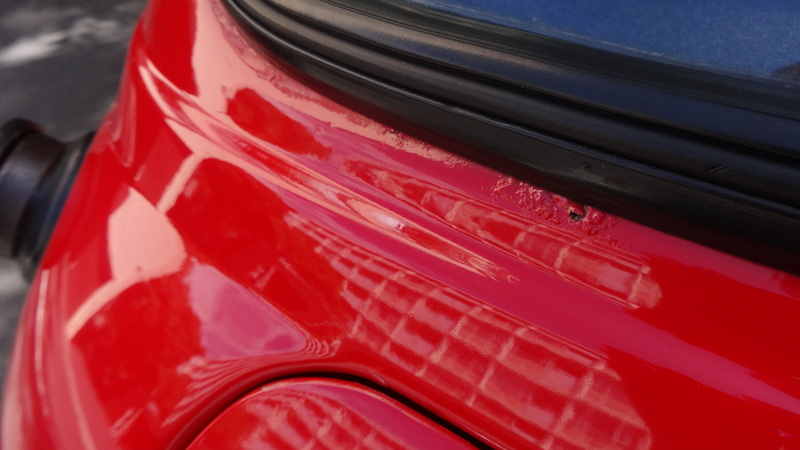 So starting from the front, this is the front valence, as you can see it is dented quite a bit. 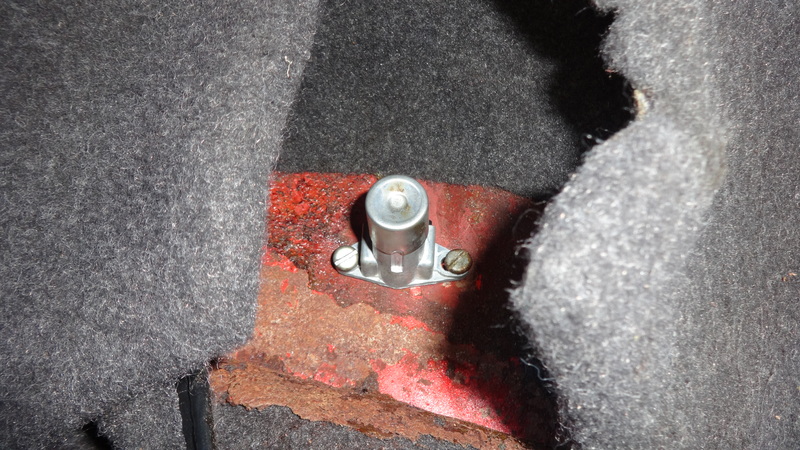 Additionally the sump plug has been made by welding a piece of threaded rod onto a nut and washer. I did buy a new magnetic sump which I am going to fit with the next oil change. 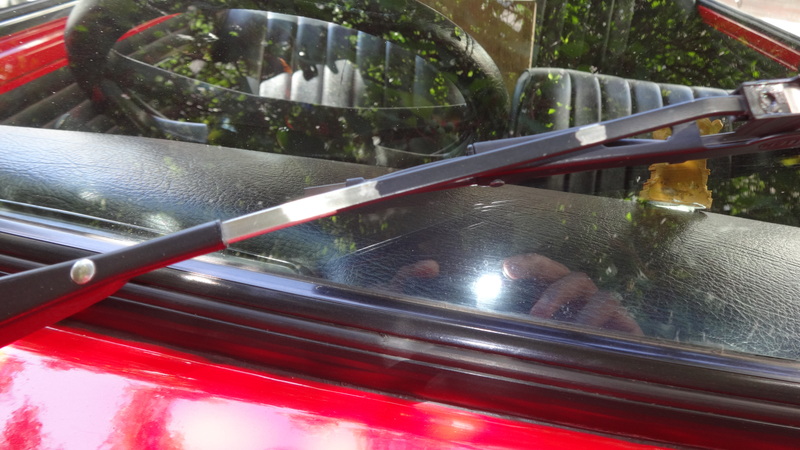 Next the wipers, where the black paint has chipped and fallen away. 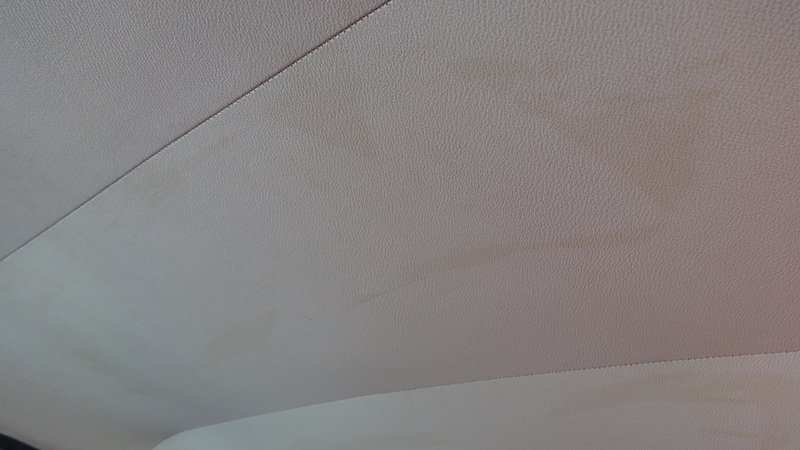 Is it possible to remove, sand and spray these? Next is the rust that has started. 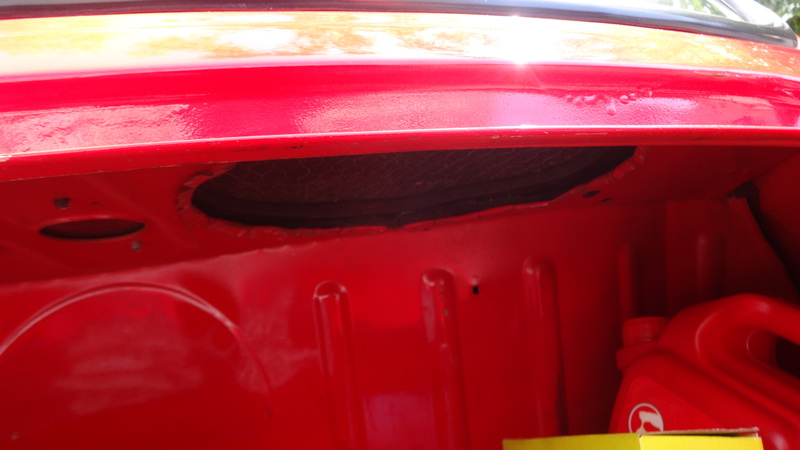 Onto the inside, the boot is in pretty good shape apart from these two gaping holes where some speakers were fitted. Not sure what the best solution is. Fit new speakers or try and fix the holes? The tank is the other part of the boot that is annoying. It is all scratched and looks untidy. 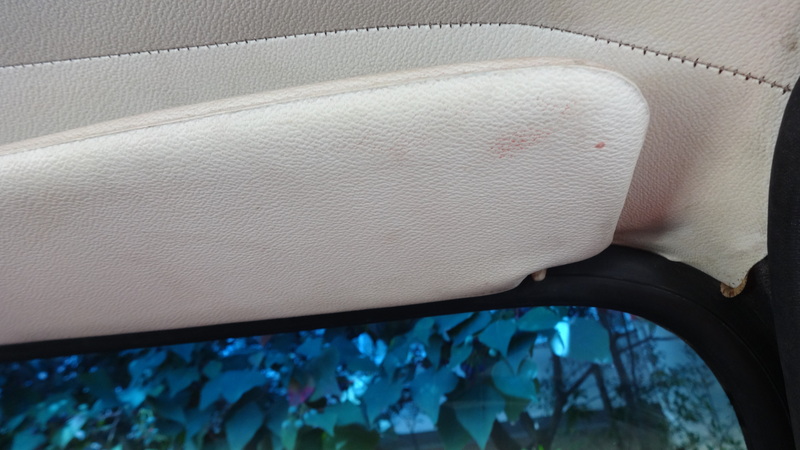 The interior headlining is quite dirty and I am not sure how to clean it. 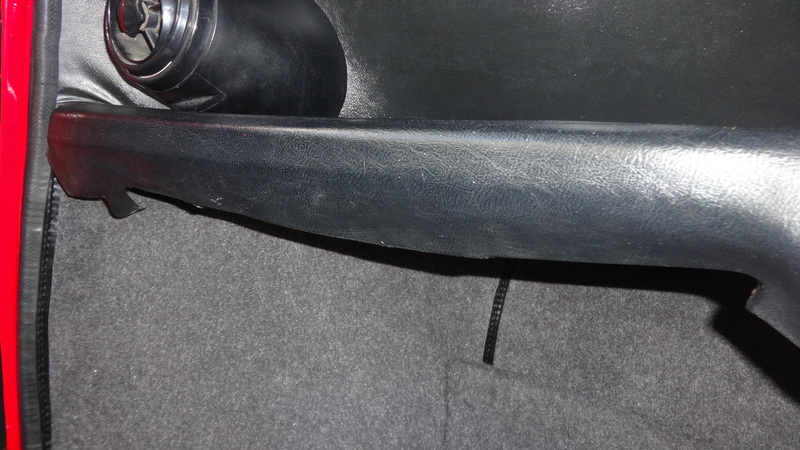 The dash covering is starting to tear and something I am not sure is correct is the sagging dash. There is a card under the dash that is sagging as well. The switches are alright, if not quite faded, though I don't think the light switch is correct. Would that switch have come out with the car? 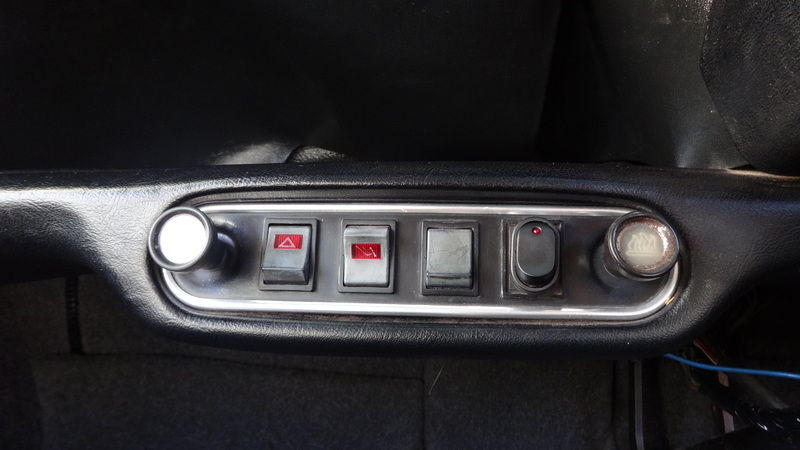 This is apparently a dipped beam switch, though all the controls are either in the centre console or on the steering stalks. It also isn't wired to anything. Edited by Vinay-RS, 14 July 2017 - 03:41 PM. A lot of sanding (and the use of a bead blaster) and a couple of coats of semi-gloss black paint from a rattle can, gave decent results. It isn't professional, but it wouldn't be visible. It looks a bit dusty, as it was sitting for a while. Edited by Vinay-RS, 14 July 2017 - 03:42 PM. The bodywork should be easily sorted by a decent panelbeater. Ask around by you, there should be a few who are able to do that. I think the toughest piece will be the guttering. 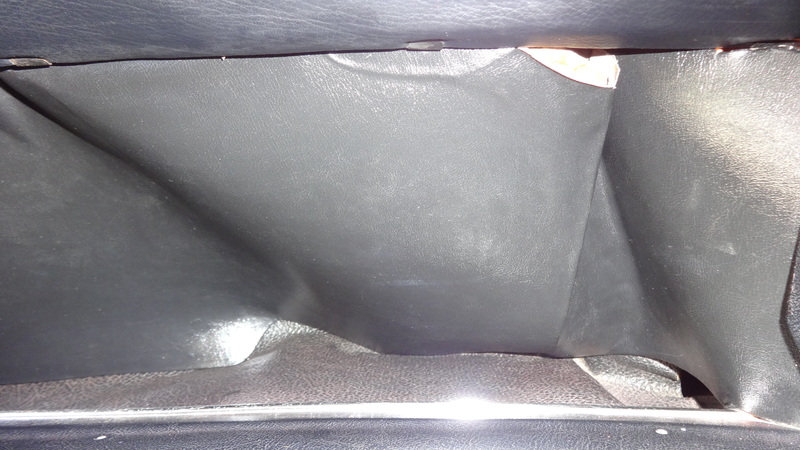 The windows and things would obviously need to come out, thus allowing you to fit new rubbers too. Use a gentle cleaning agent on the roof and take time with it. I think the card on the dash has gotten wet at some point or excessive weight has been placed on it forcing it to sag. Like I said when we spoke, it might be worth redoing those pieces with new card or looking for good secondhand items.